DON'T get me wrong, it must be a very hard thing to be the government. Local or national, the job of making decisions and bringing about “progress” is an unenviable task. Just ask Islington Council, whose plans to force all of their registrars to conduct civil partnership ceremonies has faced a setback this month. 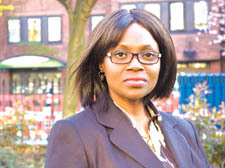 Lillian Ladele is the conscientious objector who says she cannot participate in the ceremonies because of her Christian faith – suffering “direct discrimination”, a tribunal found, “on the grounds of religion and belief”. Of course, governments have been having difficulty with conscientious objectors for many years. Take the field of medicine, for instance. The 40 years since the Abortion Act was passed has failed to diminish the number of doctors, religious and non-religious, who are personally uncomfortable with signing papers to allow a termination . A recent survey suggested that around 15 per cent of GPs are in this category. It is undeniably inconvenient for a government committed to providing this service, as the British Medical Journal recently pointed out. Yet there seems no way to coerce these medics into line. Standing on the Hippocratic Oath (“I will not... procure an abortion”), they quote their consciences as the reason for their non-participation. Or take the issue of military service. During the Second World War, some 60,000 people refused to fight in the armed forces – despite the stigma attached to being a “conchie”. Conscientious Objection Tribunals, chaired by a judge, were convened to question those who claimed exemption, but freely granted it to many whose beliefs simply meant that they couldn’t support “warfare as a means of settling international disputes”. Significantly, many of these men and women went on to lose their lives in firefighting, the medical corps, or bomb disposal. It must be a very hard thing to be in government. And more than tempting to override consciences in the name of an agenda which you believe to be overwhelmingly important. Which is why the rule of law – international and national – has consistently protected those in the West in both the fields of medicine and warfare. Following the Nuremberg trials, where it emerged that doctors had been coerced to commit atrocities, conscientious objectors were guaranteed freedom of conscience under Article 18 of the Universal Declaration of Human Rights. Indeed, in the armed forces, it was the allowance of conscientious objectors that set apart the Allies from those they were fighting. If such allowances are made in the field of medicine and warfare, why not for a registrar of births, marriages and deaths? And with a head of state that was given a Bible at her coronation, to what extent can her government fail to recognise the Bible as the basis for a conscience decision? Every civilised society allows conscientious objection as a necessary check on the power of government. It took 49 years for conscientious objectors from the Second World War to be recognised with a memorial in Tavistock Square near to King’s Cross. Let’s celebrate the conscientious objection of Lillian Ladele rather sooner.